Yesterday in Ripper history we paused to honor the memory of an alleged Ripper victim, perhaps the only non-canonical victim to be attributed to the Ripper serious scholars consider possible if not probable. Martha Tabram, AKA Martha Tabran and Emma White, was born in 1849 on May 10. In 1869, she married Henry Samuel Tabram and they had two sons, Frederick John and Charles Henry. Over the course of 12 years the marriage deteriorated in part due to Martha’s heavy drinking. 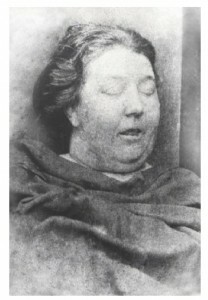 Their final separation came one month before her death on August 7, 1888. Like many woman of the day confronted with sudden poverty, Martha resorted to prostitution. She was last seen in the company of another prostitute, Mary Ann Connelly AKA “Pearly Poll,” and the two were seen drinking with a couple of soldiers in several pubs. At around 11:45 p.m. on August 6, Martha and Pearly Poll parted ways, and Martha accompanied one of the soldiers into George Yard. Martha’s mutilated body was discovered roughly five hours later by John Reeves, who lived in the George Yard Buildings and was on his way to work when he noticed her corpse in the stairwell. Martha suffered over sixteen wounds to her person, including injuries to her lungs, heart, liver, spleen and stomach. It was the opinion of Dr. Timothy Kileen, who conducted the post-mortem examination, that her attacker had been right handed and had used a pen knife. Whether or not Tabram was an actual Ripper victim, her death perhaps signaled the start of the Autumn of Terror of 1888, the season during which the elusive killer “Jack the Ripper” would become a household name. For much more information on Martha Tabram, visit www.casebook.org/victims/tabram.html. Yesterday brought the happy news that the print edition of my debut novel, The Heart Absent, was live on Amazon and at other booksellers. Did you know you can also order a print edition of the novel from Barnes and Noble’s online bookstore? Pick up your copy today! 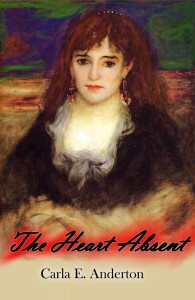 Remember, The Heart Absent is also available on Amazon Kindle, B&N Nook and Kobo devices. However you’re choosing to experience my tale of Jack the Ripper in love, I do appreciate your support.